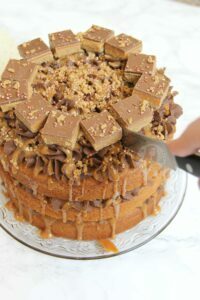 Three Layer Caramelly Sponges with Chocolate Buttercream Frosting, Gooey Caramel, and Mini Shortbread Bites make the BEST Millionaires Cake Ever! So I adore anything Millionaires themed… how can I not?! Biscuit, caramel and chocolate is THE BEST COMBINATION. Ever. Honestly, I love it! 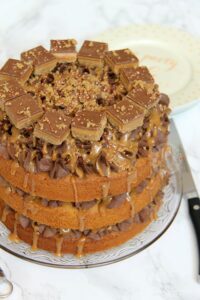 My Millionaires Cupcakes post has been so popular since I posted it; I adore the secret caramel centre, with the naturally caramelly sponge and chocolate buttercream on top. 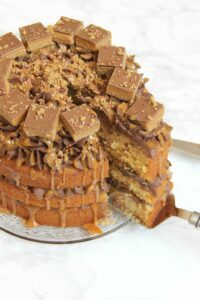 The photos look so good on that post because they show the caramel oozing out so it never surprises me that they’re a hit! My Salted Caramel Millionaires Shortbread has always been a massive hit as well because its a salty twist on the classic. I adore it! 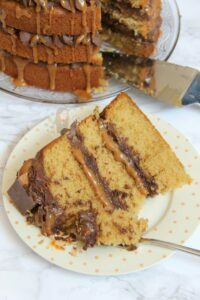 I love the salted caramel, which you can easily add to this recipe as well. 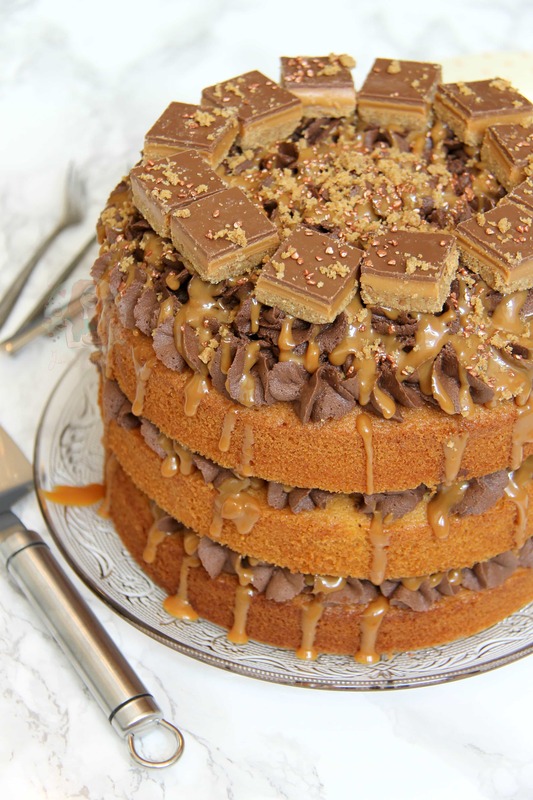 You could simply add a tsp of salt to the tin of caramel, and it would be delicious! In a stand mixer, beat together the butter and light brown sugar for a few minutes until light and fluffy. Add in the flour, eggs, baking powder and beat again briefly till combined – try not to overbeat! 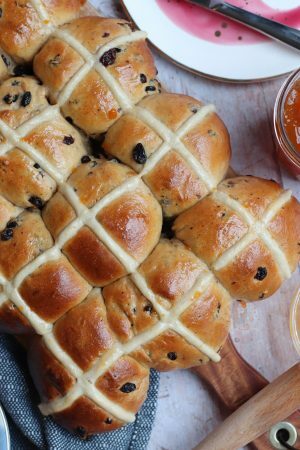 Beat the butter with an electric mixer for a couple of minutes to loosen it – Gradually add the icing sugar on a slow speed until it is combined then speed the mixer up and mix for 3-4 minutes until thoroughly combined and smooth. Add the Cocoa Powder to the buttercream and continue mixing. If its really stiff, add in 1tbsp of Boiling Water at a time until you reach the desired texture. 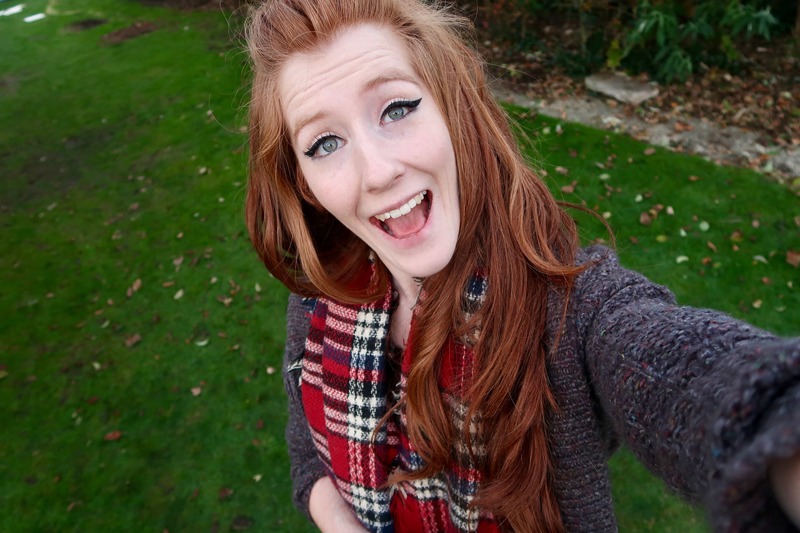 When its summery I don’t usually need to add any, when its colder weather its usually 1-3tbsps! Keep on beating for 5 minutes until whipped and silky smooth! On the first layer of the cake, pipe your buttercream using a 2D Closed Star Piping Tip, and then drizzle/spread some of the caramel on top. Repeat again with the next layer. For the top layer, pipe on the rest of the buttercream, and add some little swirls. Drizzle over some more caramel. 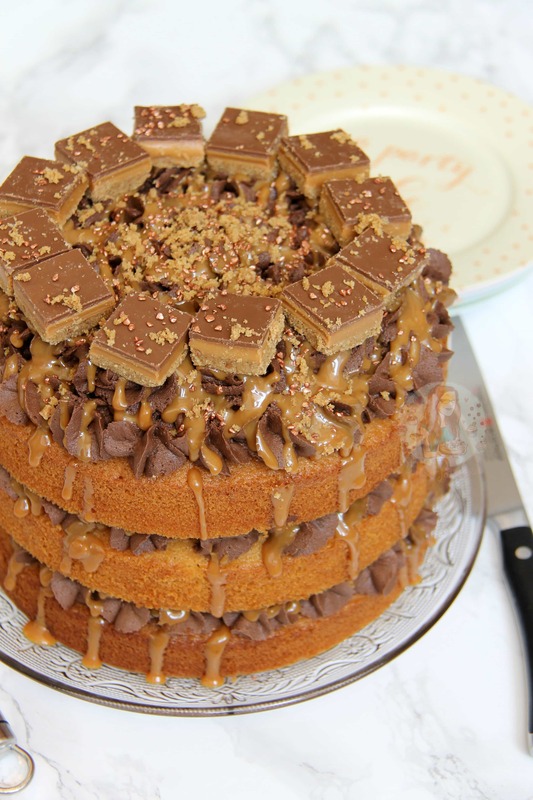 On top of each swirl, add a mini Millionaires Shortbread Bite, or a piece of Shortbread. Sprinkle on some crushed shortbread, some sprinkles, and ENJOY! 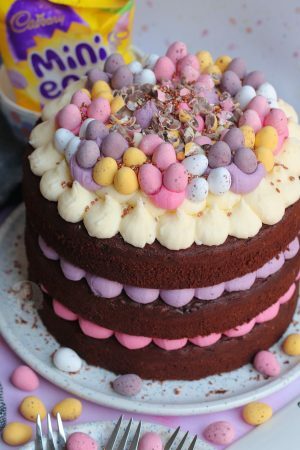 I love this style of cake as you can tell from the few I have made, and I happen to have 3 8″ tins, if you don’t have 3 tins you can make a smaller version of the cake, use 300g of everything in the cake mixture rather than 400g, 1.5tsps of baking powder, 6 medium eggs (and it might take an extra 5-10 minutes to bake) and use 2/3 of the decoration recipes! I used Carnations Caramel which is like the condensed milk you can buy, but you can realistically use any caramel sauce you like or Dulce de Leche. 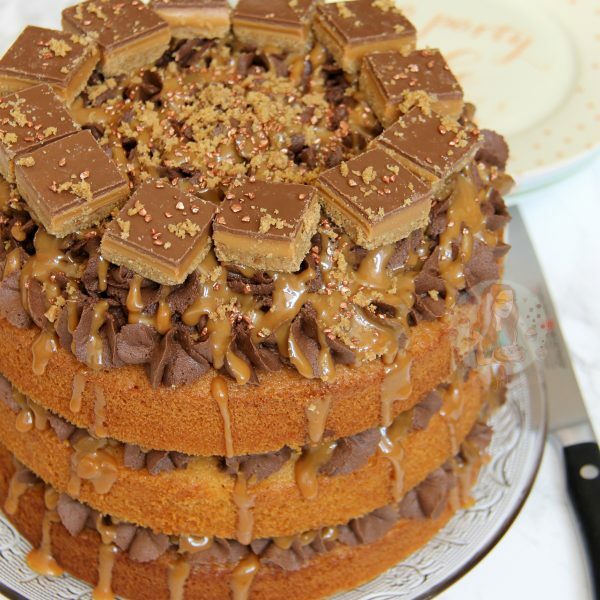 Find my other Cake, Chocolate & Caramel Recipes on my Recipes Page! Older Next post: Strawberry Gin Sorbet! Newer Previous post: Lemon and Raspberry Cupcakes! Awh yay! I’m so glad! 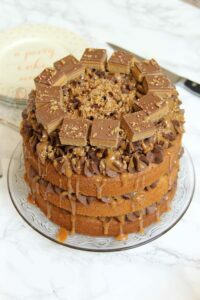 I’m wanting to make this for a cousins birthday but she would like 2 layers instead of 3. How much would I need to change the amounts to, for this? 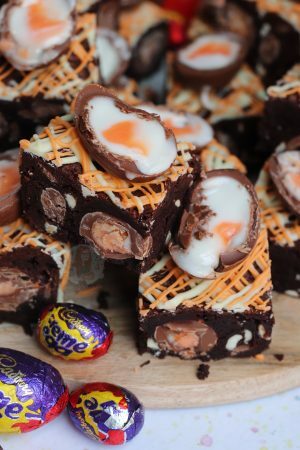 Looks amazing and I can’t wait to make it! I live in the US and I am wondering what the difference is between the flour in the UK and our flour. I believe that our “self RISING flour” is different than your “self RAISING flour”. Would you happen to know what I need to use in place of, or in addition to, our regular all-purpose flour to achieve the right texture for this cake? 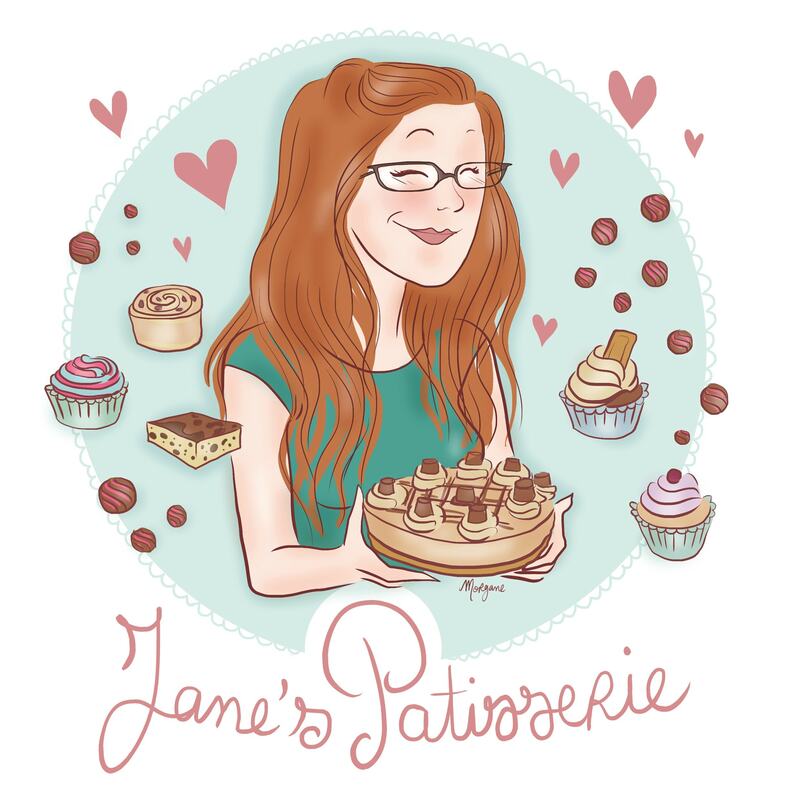 I love your creations and I cannot wait to make this cake!! I have 372g of the brown sugar would it be ok to do the last 28g’s as dark brown sugar? Just made this cake for my birthday. Substituted Gluten Free Flour for the unusual but rest of recipe remained the same. I personally weigh them out of the shells but it doesn’t reeeeally matter. ? Yes – the cakes won’t be that deep so they’d be fine. Sorry I missread that ? did you mean one tin? It should be fine but I’d lower the baking temperature to 140C and bake for a long time. Thank you yes I meant one tin.